Conversation at an Airport; Don’t Be Intimated! Say What You’re Thinking! We stepped into the Delta lounge to await our flight to Greece where we will meet our group of 95 excited pilgrims for our St. Paul cruise. The moral of the story is — don’t be shy and embarrassed about your faith and what you believe in. You may be amazed to discover that more than 50% of the people in the room agree with you and they will be all smiles and excited to find out that someone has the courage to say what they also believe but are too shy to say! We stepped into the Delta lounge to await our flight to Greece where we will meet our group of 95 excited pilgrims for a St. Paul cruise. You may be amazed to discover that more than 50% of the people in the room agree with you and will be all smiles and excited to find out that someone has the courage to say what they also believe but are too shy to say! 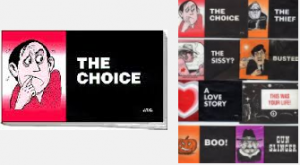 I remember handing out those cartoon Chick Tracts when I was a Protestant. As uninformed as I was, I liked the simplicity and brashness of the little booklets. Now I know how crude and deceptive they were. Jack Chick just died and Jimmy Akin wrote a bit about it. 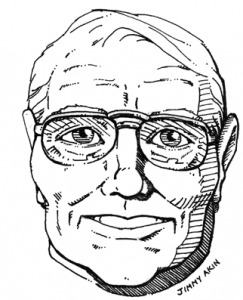 Anti-Catholic comic book writer/artist Jack Chick passed away on Sunday, October 23, 2016. Eternal rest grant to him, O Lord, and may perpetual light shine upon him. As far as I know, I’m the only Catholic apologist ever to meet him. Below is an account of that meeting, originally published in the March, 2004 issue of This Rock (now Catholic Answers Magazine). the Catholic conspiracy also includes creating venomously anti-Catholic movements such as Communism, the Ku Klux Klan, Jehovah’s Witnesses, Mormonism, and Islam (The Big Betrayal, The Godfathers: Alberto Part Three, The Force: Alberto Part Four, The Prophet: Alberto Part Six). Chick’s material is weirdly compelling. It is amateurish, lurid, ham-fisted, and viciously hateful at times. But it is intense, and something about that intensity makes people want to read it. His tracts generate a kind of bizarre fascination. Since he first began publishing them, Chick has distributed over half a billion, making him the most published comic book author in the world. Yet little is known of him. The seventy-nine-year-old Chick is a recluse. His office does not give tours, he never allows his photo to be taken, and he never, ever gives interviews. Little is known about him beyond what is revealed in the biography on his web site, www.chick.com. For the rest of Jimmy’s story, click here.